Get ready for a thrilling ride through the Near East and its history! This is the first book in a while that I’ve stayed up late to devour! The only way I can describe this book is this: it’s a mixture of Lara Croft Tomb Rider, Indiana Jones, The Mummy, and The Davinci Code. Now I realize these are mostly film references, but this book was so vivid that I felt like I was watching a film while reading. If I had to pick a literary reference, I would say it’s a modern day Amelia Peabody mystery that meets The Davinci Code. Sarah Weston and her partner Daniel Madigan are excavating in the Qaryat al-Fau archaeological site in Saudi Arabia when a group of Bedouins approaches them, threatening them to leave immediately and cease digging at the site. Sarah and Daniel agree, but not before they uncover an ancient scroll under the desert sands. The scroll discovered could be the key to unlocking the ancient Biblical legend of King Solomon but the problem is they need to have it deciphered and interpreted to be sure. The scroll brings them nothing but grief! A series of misfortunes plague their dig site and colleagues. They follow a series of clues that lead them all over through deserts, mountains, and wilderness from Saudi Arabia to Israel, and India. Before Sarah and Daniel can solve the mystery of the scroll it’s stolen and they fear their concrete proof of King Solomon’s legend might be lost forever now that it’s in the hands of a deranged man who thinks he is a direct decent from David and therefore heir to the Israeli throne…..in essence he thinks he’s the messiah. Sarah and Daniel must try and solve the mystery of King Solomon’s scrolls and crack the code before it’s too late and they can no longer stop the mad man from putting his ‘prophecy’ into action. This discovery and the plan set into motion by the ‘messiah’ could put the modern day Middle East is a catastrophe. Everything depends on Sarah and Daniel. This book was fantastic. It clipped along at a fast pace but was dense enough that you got a lot out of the characters and the story. It’s almost 500 pages so there was plenty to sink your teeth into but it never felt sluggish or too thick, it was perfect. As a reader I really loved delving into the history part of this novel. Many of the novels out there that are mysteries or thrillers based on archaeology are all set in Egypt which is great, but it does get tiresome after a while. Let’s be real, there are a lot of other ancient civilizations in the world that would serve as a nice backdrop for novels such as this. That is why I picked up this book for review. It sounded positively electrifying! I couldn’t pass it up even though my review schedule was tight for the month. I picked it up one afternoon and couldn’t put it down. I found myself reading it at any moment that I could and I spent many a late night finishing it up. I loved that the novel didn’t just stay in one place, rather the characters traveled all over the globe trying to solve the mystery. One minute we were in Saudi Arabia, the next we were in the ghettos of Indian on the banks of the Ganges River. I couldn’t wait to read about the next exotic location, for me that was a huge driving force in the novel. Sarah was an interesting character. I immediately liked her. She was spunky and tough but not heartless. She reminded me a lot of myself and for me that’s the hallmark of a great character—when you can see yourself in them and can relate to what they are going through. I instantly wanted to read the previous novel in the series. 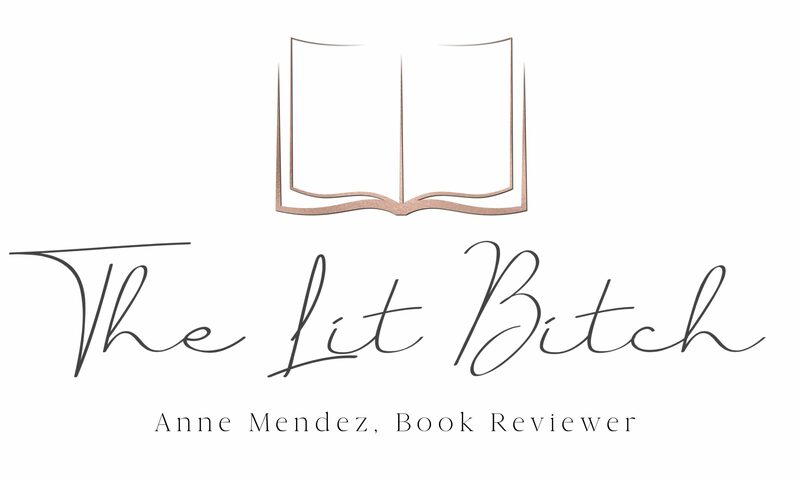 The story itself was suspenseful, a little predicable at times but overall I was intrigued and couldn’t help but wonder how it was all going to get resolved. While I enjoyed the characters, setting, and history of the novel itself, I was a little distracted by some of the flowery language at the beginning. At the beginning of the novel there was a lot of romantic, flowery descriptions and I felt like it was a little much. Thankfully it wasn’t that way throughout the novel. Even though this book is the second in the series, I think it would still work as a stand-alone novel. There wasn’t too much back story that was missed and the author did a marvelous job filling the reader in on what happened previously without giving away too much of the story in book one for those who haven’t read the novel. I can’t wait to see where Sarah ends up next! I am really looking forward to reading more of Sarah’s adventures, I actually downloaded the first novel in the series to read this summer. If you are looking for something new and exotic to sink your teeth into this summer, then this is the series for you. Suspense, archaeology, and history make this series one to watch and not to be missed! 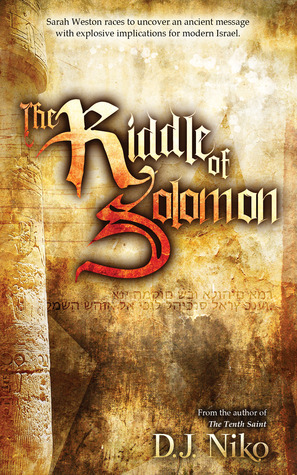 Be sure to check out the other The Riddle of Solomon virtual tour stops for interviews, guest posts, reviews, and giveaway opportunities. I also included a list of the other tour stops at the end of this post! Be sure to check it out! Stay the course even if all seems lost. It is the only way you can claim victory.